I’ve always loved hand creams. I like the soft and supple feel that it leaves after application and not to mention the fragrance. For years I was using Oddysey by Avon and I stopped using handcreams when I could not find this hand cream anymore. 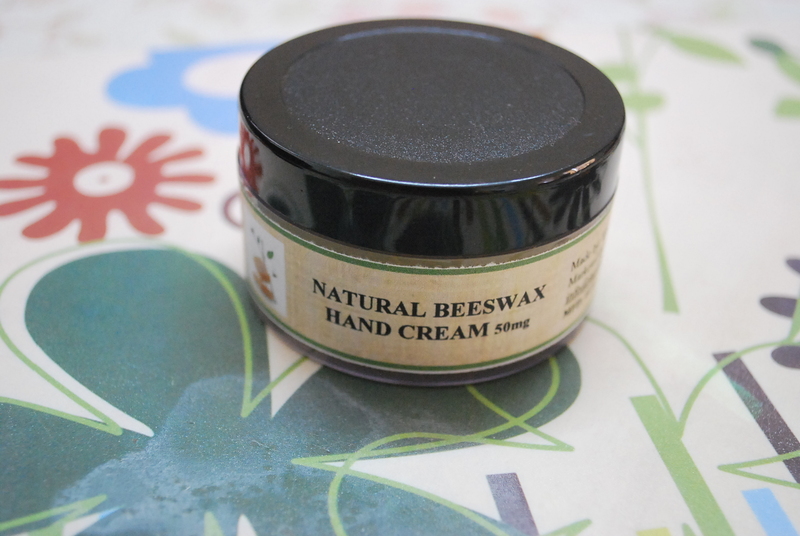 On a recent visit to Beaute Naturelle, the Eco boutique, I chanced upon this hand cream and decided to give it a try and I must add that I was not disappointed at all. With the onset of monsoon and till the summer starts, my hands tends to get dry and itchy and I need to keep my hands well moisturised. This hand cream comes with a very mild fragrance and is gets absorbed quickly into your skin. It is packaged in a simple but sturdy plastic jar and the bottle is sealed to protect the product. My only feedback on this product is that if you have normal skin, it takes a little longer to get absorbed and post that it leaves your hands soft and supple. This product is more suitable for people with dry or sensitive skin. This 50 gm jar cost Rs.90 and comes with a shelf life of 1 year. 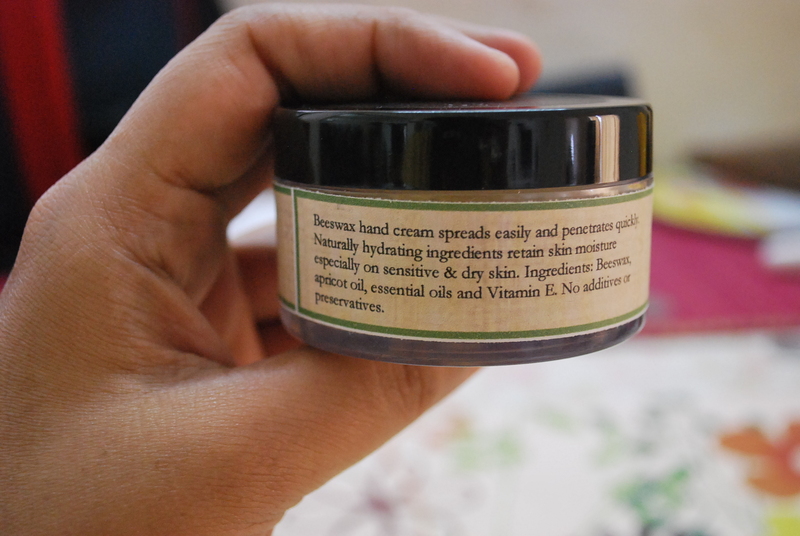 I bought this at the physical store of Beaute Naturelle, the eco boutique. It is not available at the online store. Yes! I love this product. The only drawback is that it leaves my hands oily post application for a while, apart from that there are no complaints! However, this product comes with a claim that it is better suited for people with dry and/or sensitive skin. I’d recommend it to people with dry skin because it moisturises really well. For people with normal skin, you will need to apply it and keep it for a while till it is completely absorbed. This product is not recommended for people with oily skin. 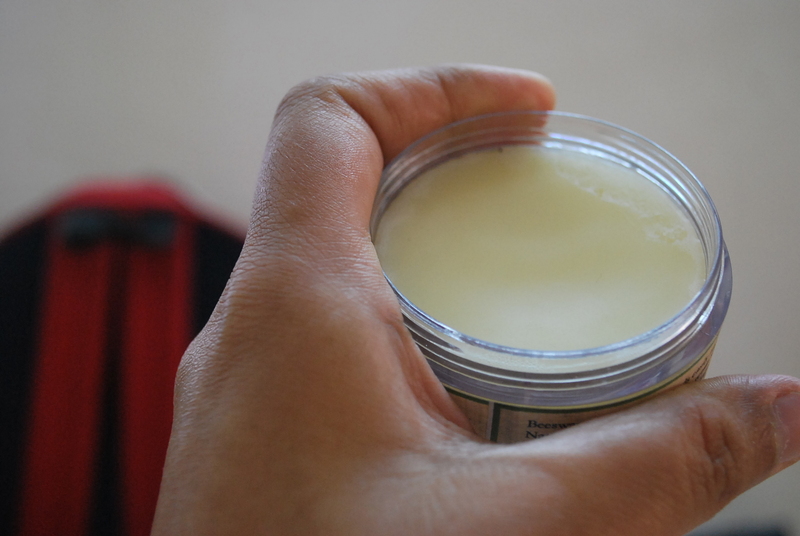 About the Product ( On the jar)Beeswax hands cream spreads easily and penetrates quickly. Naturally hydrating ingredients retain skin moisturiser especially on sensitive and dry skin. i am not much of a creams and cosmetics person, but this looks like an excellent product that doesnt have phthalates and SLS….. Yes, this is free of parabens and SLS. Give it a try if you have dry or sensitive skin! Heyy I am from chennai. how can I buy this hand cream? I picked this long ago from Naturelle (https://www.facebook.com/naturelle.in). you can contact them and check its availability. I don’t see it listed now.